When it comes to car audio we have everything you need and more! We offer top brands including JL Audio, Focal, Audiocontrol, Kenwood Excelon, JVC, Wirez, Ballistic, and Clarion. We have certified installers to properly integrate the best audio into your vehicle. 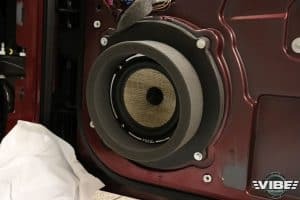 From replacing blown factory speakers, to building a fully amplified audio system running through a processor, we can take care of your audio needs! Bring in some of your favorite music and have a listen to our demo boards today! Your in-dash radio plays a huge part in your daily commute, and having something out of date and hard to operate will make your drive frustrating. We strive to stay on top of the latest trends and new technology when it comes to your head-unit. 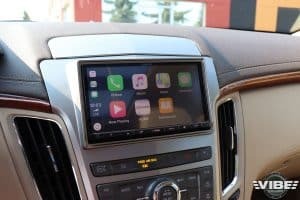 Let us show you how we can add a new head-unit to your vehicle with features like Touchscreen, DVD video, HD radio, Bluetooth, SiriusXM, Apple Car Play, Android Auto, HDMI Mirroring and Navigation. Sound matting is a very good way to enhance your newly added speakers or subwoofer. It also helps to stop unwanted rattles, and keeps the interior of your vehicle quieter! We prefer to use Focal Bam, as its a multi layer material that combines Butyl rubber, aluminum, and acoustic foam! 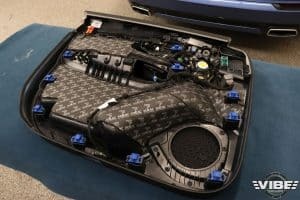 Going on a big road trip? Looking for a way to keep your kids happy and quiet? 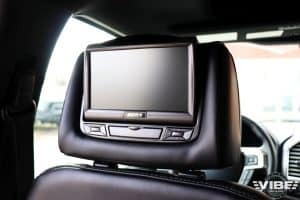 We offer custom headrest solutions with built-in DVD players to keep those car trips peaceful. With color, grain and stitching matched headrests, you will never know they aren’t factory. A flip down overhead screen is also an option, to give viewers a larger, more adjustable screen.